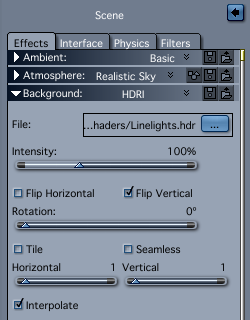 To use Image Based Lighting in Carrara (IBL for short), we need a HDRI map (High Dynamic Rage Image). Using this technique your scene is not illuminated by light sources but rather by a weird looking image. This concept is known as Global Illumination and the results can be stunning (see above). In principle, a spherical image is projected onto a dome around our scene, whose inner surface reflects the image back onto our scene, thereby illuminating it. 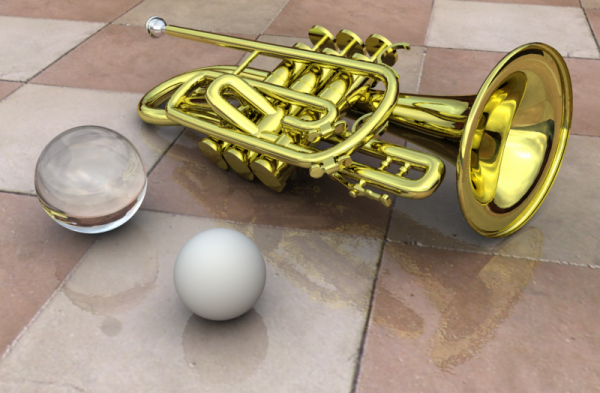 Several HDRI maps ship with Carrara, albeit buried deep inside the installation. I’ll show you how to hunt them down and how to use them in your scene. For those HDRI maps to work we need to prepare a few things in our scene. 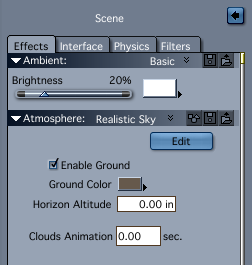 First we need to select the Scene (under Instances) and head over to atmosphere. IBL will only work with either a Sky or a Realistic Sky. Let’s select either of those options and configure them to your liking. Copy them somewhere that makes them easier accessible next time you want to use them. Over in the Render Room we’ll need to tell Carrara that we want to use Global Illumination. 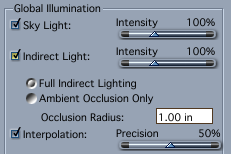 In the Rendering tab, find the Global Illumination section and select Sky Light, and optionally Indirect Light. You also have a choice between Full Indirect Light and Ambient Occlusion, the latter will make for speedier renders with slightly softer shadows, the former will present very accurate results but takes a little longer to render. Now go and globally illuminate something!